The tiny but potent PC that is the Raspberry Pi can be built into all manner of amazing projects, but this is arguably one of the most impressive tricks - creating a working robot. Of course, building a Pi-powered robot can take many forms. There are ready-made kits that add a robot arm to your Pi for just a few pounds, cheap and cheerful 'mouse' style chassis that simplify the build, and highly technical professional creations that can operate in the harshest environments around. 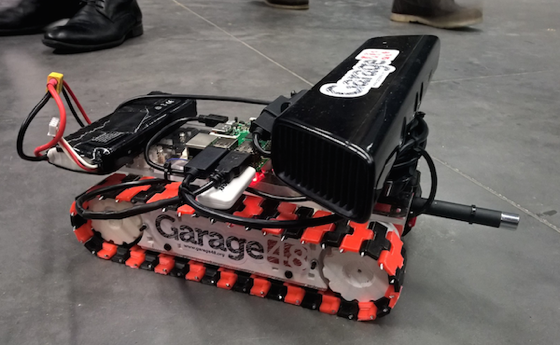 One team created the PiTank (including a functioning ping-pong ball cannon), while another team of scientists investigating volcanoes used a Pi-powered robot to investigate and map active fissures - the only limit is your imagination!